This week students in NUIG are being asked to vote on whether their union’s pro-choice position should be repealed. Sarah McCarthy writes on why students should reject this proposal. They are hitting us, how should we hit back? Frank Doherty enlightens us on whether armed struggle is necessary in Ireland today…. “War; what is it good for?! Absolutely Nothing”… but death, destruction and the wrecking of lives. That’s why the default position for everyone should be explicitly anti-war, especially given its historical record as a category of human endeavour. However human conflict does exist in today’s society both on the individual level and that of the polity or globalised society as witnessed in the drunk fight, the economic conflict between worker and boss, the Israeli-Palestinian conflict and the Troubles in our own country and various other imperialisms around the world. As Plato said, “[…] only the dead who have seen the end of war” and today it rages all over the planet; not just the types involving states and standing armies and territories but all war; taking as our broad definition human conflict, mediated or resolved through use of lethal violence. So when to advocate violence or, put differently, under which circumstances if any should we break from a principle of nonviolence? – Aoife Campbell writes about a new campaign launched today which aims to improve accessibility to the Morning After Pill in Ireland. 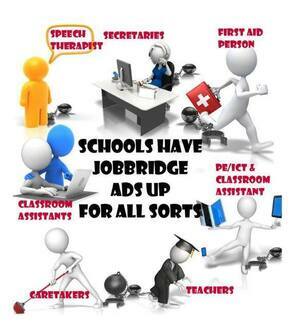 JobBridge – Don’t Let it into YOUR school – Can we help? From Voice for Teachers Facebook page…. These are just some of the positions that have been advertised by primary schools on the JobBridge website overthe past couple of weeks. In fact, in that period of time primary schools have advertised over 170 positions. Interesting little piece from Aidan Rowe on an Irish nationwide university speaking tour of a Canadian speaker from the mass student strikes in Quebec in 2012. If anyone would like to help organising at your university level, or know anyone who would be, link is at the bottom of the piece. 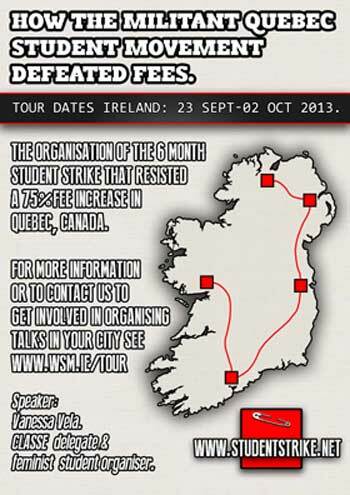 In 2012 the attempt by the government to Quebec to introduce a 75% fee hike was defeated by the organisation of a mass student strike that lasted over 6 months. That fee increase was part of the global process of imposing the privatisation and commodification of education. Since the victory, organisers of the strike have been being doing speaking tours to aid the process whereby “youth and students everywhere are becoming increasingly conscious of the need to organize as a means to defend education as a social right”. 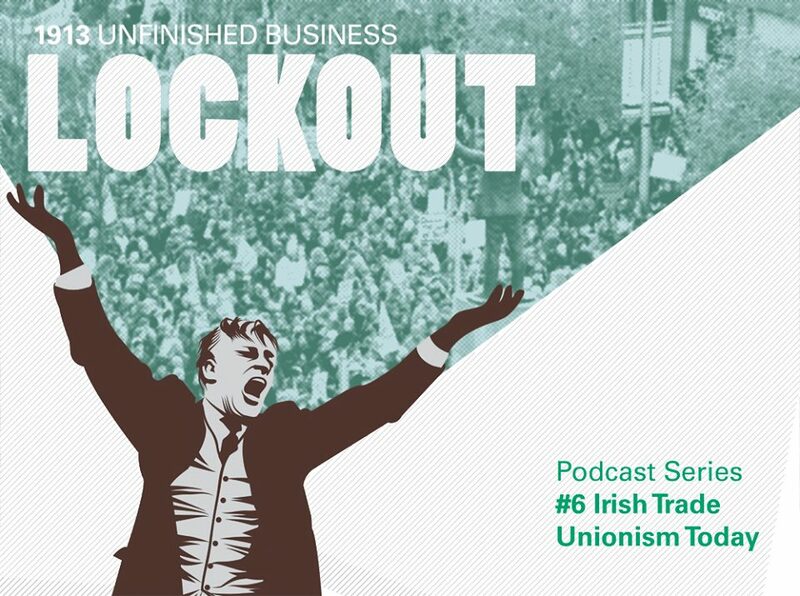 In September this tour reaches Ireland where we need to hear how a sustained and militant student movement that can win is built. We want you to help in ensuring a really good turnout for all of the Irish dates of the tour. Poster for speaking tour that starts this September. “YOU CAN’T TAKE MY DEPOSIT!! !”- The Nine Commandments of Renting. – Finding a decent place to live with housemates you don’t want to kill by the end of the year can be surprisingly difficult! Here, Anna Ryan from UCD shares her hard-earned wisdom in the field of house-hunting. Interactive white board skills you say? Where do I sign up? Last week we saw the JobBridge National Internship Scheme post an ad for a 9 month ‘internship’ for a primary school teacher. The advertisement goes to say that ‘interns’ (read as exploited teacher) will “receive formal/informal training in the following classroom management, self evaluation and classroom evaluation, Interactive white board skills, I.T. skills to enhance classroom teaching, acquire knowledge of suitable I.T. resources. Whole school development training in Literacy and Numeracy. On completion the intern will have attained skills in I.T. use of interactive white board in classroom, be able to access relevant, suitable resources.” For this, an unemployed teacher will receive €50 extra on top of their weekly social welfare payment for doing the exact same job as fully employed teachers with the exact same qualification. Tomás Heneghan, a student from UL and member of Galway Pro-Choice shares his experience of the march on Youth Defence’s office…..originally posted here.